Visit the birthplace and boyhood home of Calvin Coolidge and sample rare, antique apple varieties at the Plymouth Notch Antique Apple Fest: October 1, 2016! 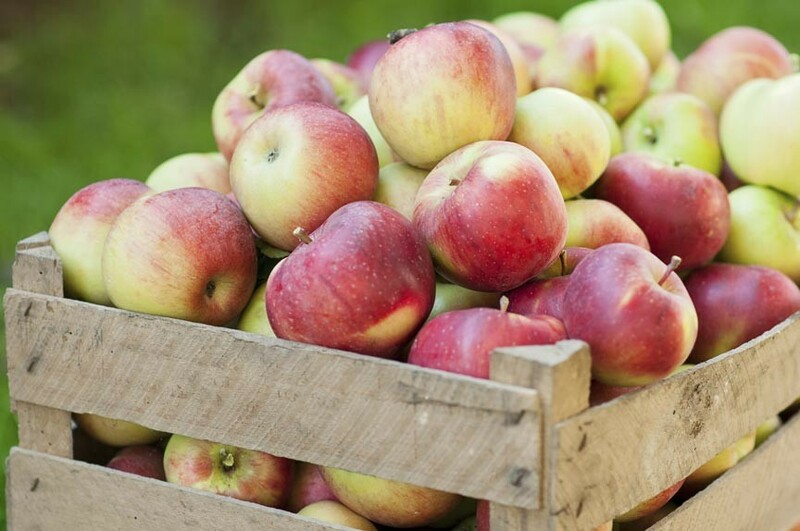 If you investigate the history of apples you’ll discover there used to be hundreds of varieties. Apples of wildly differing shapes and colors, stripes, spots, and unfamiliar names. So, where did they all go? Mostly, they died out in favor of uniformity for mass marketing. Despite this, many fine heirloom apple varieties still exist, including right here in Plymouth Notch! The Plymouth Notch Antique Apple Fest is a harvest celebration of a very special type, with its attention focused on heirloom apples. The Coolidge Homestead features an heirloom orchard growing many unusual and rare apples that you can have a chance to sample! Beyond the apples, themselves, the Plymouth Notch Antique Apple Fest offers a days worth of attractions and distractions. There will be cider pressing, wagon rides, and demonstrations of historic farm craft. The Plymouth Cheese Factory will be giving guided tours and cheese making demonstrations, too. For entertainment, Linda Radtke, the host of the VPR Choral Hour, will perform “Vermont History Through Song” at 1:30pm. There will be plenty to eat, not just cheese and apples, thanks to the barbecue and harvest treats on hand! Be sure not to miss the apple recipe competition, either! Mmmmmm! Plymouth Notch, Vermont is always good for a visit so, if you’re looking to kill some time after you’ve visited the festival, you wont have to look far! Plymouth Notch is the birthplace and boyhood home of Calvin Coolidge, the 30th President of the United States. You can visit the home of Calvin Coolidge and that of his neighbors. You can also see a one room schoolhouse, general store, and the aforementioned Plymouth Cheese Factory – all virtually unchanged since the early 20th century. Deer Brook Inn, is conveniently located in lovely Woodstock, Vermont less than a quarter hour’s drive from Plymouth Notch! Our Vermont B&B is a charming and historic, 1820’s farmhouse. We offer four spacious guest rooms and suites with en suite bathrooms, in-room heating/air conditioning, high speed Wi-Fi, 600 thread count sheets and so much more. Make the most of any Vermont vacation with accommodations at Deer Brook Inn!